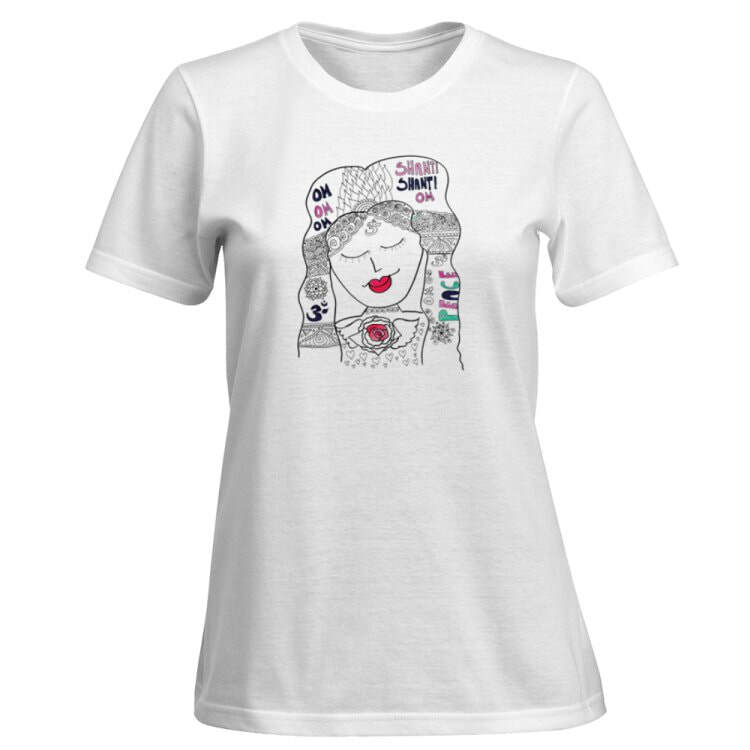 Wear this beautiful Om Shanti T shirt and activate the Rose of the Divine Mother in your Heart. Shanti means peace in Sanskrit. When you wear this people will read the Mantra and by repeating Om Shanti Shanti Om this will bring a calm and peaceful vibration. And we need that now more than ever. Try it and see. 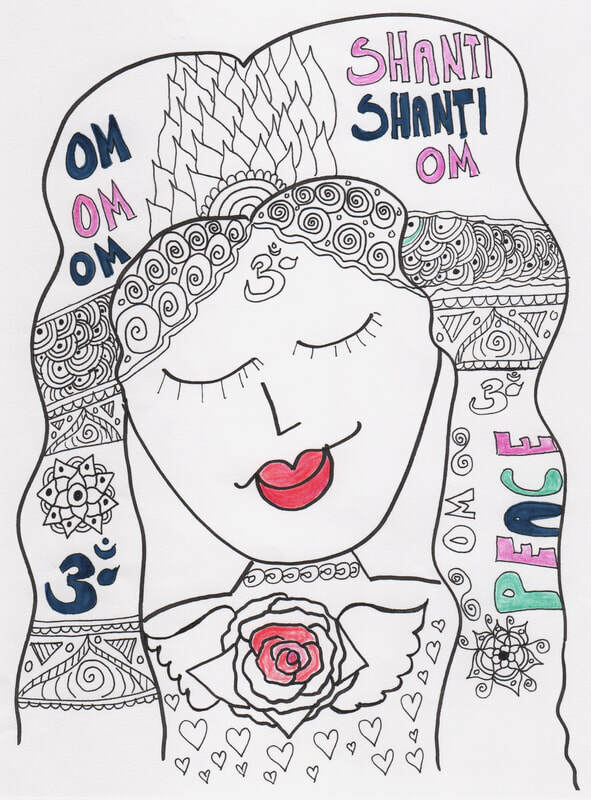 Repeat Om Shanti Shanti Om.Inhale Peace. Exhale Peace. Become Peace.